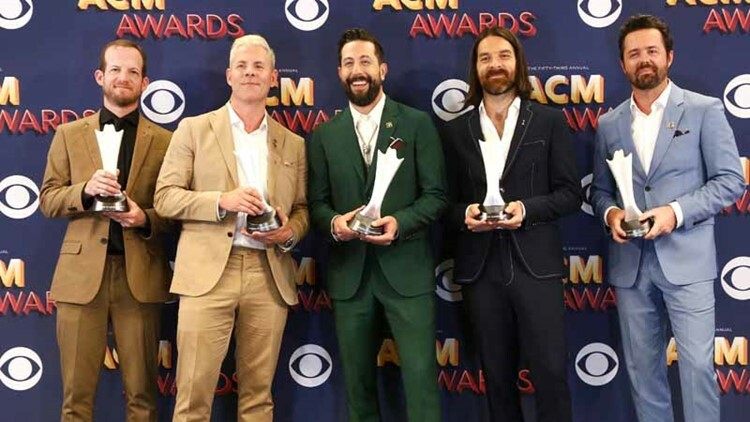 The lineup includes Old Dominion, the 2018 Academy of Country Music Awards winner for Vocal Group of the Year; Randy Houser; BlackHawk; Sammy Kershaw and more. One day after the American Country Music Awards, the Oregon State Fair announced its country concert lineup, the first in a series of concerts that will take place at the fair, which runs Aug. 24 to Sept. 3. “Our concert lineup features some extremely popular music acts that will add a new layer of fun at the State Fair this year,” said Dan Cox, Oregon State Fair spokesman, in a press release. “It’s especially thrilling to have a recent winner and nominee from this year’s ACM Awards be part of our country series." Concerts are free with admission on a first-come, first-serve basis, but VIP concert tickets will go on sale at 10 a.m. Friday, April 20. VIP access gets guests premium reserved seating and access to concessions, admission to the fair and a chance to win a meet-and-greet with the act. 7 p.m. Saturday, Aug. 25: Randy Houser with special guest BlackHawk. 7 p.m. Tuesday, Aug. 28: Roots & Boots Tour featuring Sammy Kershaw, Collin Raye and Aaron Tippin. 4 p.m. Monday, Sept. 3: Happy Ending Tour featuring Old Dominion with special guest Michael Ray. Not a fan of country music? No worries – six additional concerts of different genres will be announced in the upcoming weeks. What: The Oregon State Fair country concert series, tickets go on sale at 10 a.m. Friday, April 20.